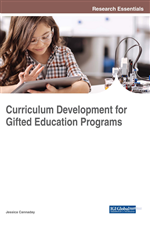 This chapter focuses on technology toolsets for the secondary classroom—with an additional focus on accelerative options for gifted and talented education (GATE) students. It identifies top instructional practices being used by various online resources. It attempts to generalize the current types of educators and gives input on professional development for new educators' integration of technology in the classroom. It is relevant for professors of teacher education, elementary and secondary educators in any setting of education including, online, hybrid, blended, and traditional classrooms. It informs school district administrators, pre-service teacher support providers, and developers of online educational platforms. Figure 1 shows Gallup Student Poll reports between 2012 and 2016 indicating that high school student engagement has been falling. Even more significant, is that student engagement consecutively falls each year until 12th grade, when it slightly rises. It is not known what percent of these students are gifted, but that information would contribute to the gifted discussion. This data in light of the implementation and adoption of the national Common Core standards which were designed to increase “problem-solving, collaboration, communication, and critical-thinking skills” among students across disciplines (Common Core State Standards — Frequently Asked Questions, 2010) also adds to the discussion. Pellegrino refers to a large overlap in the Common Core standards and 21st century skills (2017).